Not all Jesus said was meant for you. Jesus preached the law to those who lived under the law. He hadn’t gone to the cross yet. different covenant to the Jews of Jesus’ day. 2. The Mosaic law is not the gospel. The law is good and has its proper purpose but it is bad news not good news.• The purpose of the law is to reveal sin and condemn the self-righteous. The law diagnoses the problem but does nothing to treat it. 3. The exhortation to “turn from sin” is not the good news. It is the message of Moses and John the Baptist. It is the message of most of the Old Testament. The message of the New Testament is that we are “free” from the power anddominion of sin — NOW that’s part of the good news! Some evangelists think scaring the hell out of people is a good way to win disciples for Jesus, but fear is an appalling basis for any relationship. Jesus is not interested in shotgun weddings. Paul, the greatest church planter in the Bible, preached the gospel without evermentioning hell by name. • That’s not the Gospel. the problem with this quote and with some of the “gospel” that’s being preached is: no understanding of our dentity! Of who we are! The person who is sinful and flawed is dead. 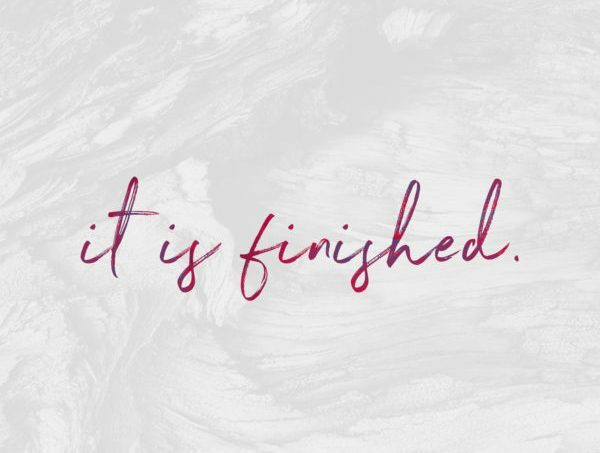 All that is sinful and flawed is gone. That person no longer exists. That person was cut away… removed. The old you is dead and gone. We now have a new family line… a new lineage. Not only are you not in the family tree of Adam but “you” have never been in the family tree of Adam because you are a new you… a new creation one who never existed before!!! So, in this first chapter of Galatians, Paul is telling us he is a new man!! Defined in Christ! Christ has been revealed “in” him and God is glorified because of it. We have been co-resurrected to a new life. We can’t live a life of who we truly are if we have a false concept of who we truly are.• That’s the good news of the Gospel! The gospel of Grace! The gospel of Christ! We are defined by Christ …… As He is so are we! So now that we know what the Gospel is not…. what is the Gospel? It was a radical word for Paul to use. This word “gospel” in the original Greek was a word seldom used in Paul’s day. Paul Ellis has a great book called the Gospel in 10 words….. The good news is God love us! I love Jeremiah 31:3b in the Message Bible — I’ve never quit loving you and never will. Expect love, love, and more love! the good news is we are forgiven! before the cross Jesus preached conditional forgiveness — forgive to be forgiven. Luke 24:46-47:This is what is written: The Christ will suffer and rise from the dead on the third day, and repentance and forgiveness of sins will be preached in his name to all nations, beginning at Jerusalem. Repent-ance for forgiveness is what John the Baptist preached. It’s forgiveness conditional on you turning from sin. It’s a verb for a verb. But this is not what Jesus is saying here in Luke 24. He doesn’t use verbs for repentance and forgiveness but nouns. Numbers 15:25 —‘Then the priest shall make atonement for all thecongregation of the sons of Israel, and they will be forgiven. “save” in the Bible, sozo, literally means to deliver, protect, heal, preserve, and make whole. It covers not only salvation in eternity, but healing, deliverance, and prosperity today. The Gospel of salvation is good news of the power of God for healing, deliverance, prosperity and eternal life — wholeness — nothing missing, nothing broken. the good news is we are fully and completely accepted by God! There is nothing you can do to make him more pleased than he already is. Just as your good works don’t make you any more pleasing to God, neither do your bad works make you less pleasing. the good news is that we are holy right now! 1 Cor 1:30 God has united you with Christ Jesus. For our benefit God made himto be wisdom itself. Christ made us right with God; he made us pure and holy, and he freed us from sin. the good news is we are righteous right now! 2 Cor 5:21 — He made Him who knew no sin to be sin on our behalf, so that we might become the righteousness of God in Him. Rom1:17a In the gospel a righteousness from God is revealed, a righteousness that is by faith from first to last. the good news of grace declares that He offers you his righteousness as a free gift, no strings attached. Righteousness has nothing to do with doing and everything to do with being. In Hebrew it means tzedeq — to be. You can’t become anymore righteous than you already are. Paul says so, again and again. You have a new history and it began at the cross where you died with Christ. the good news is you are a brand new creation… one that never existed before! 2 Cor 5:17 NLT: This means that anyone who belongs to Christ has become a new person. The old life is gone; a new life has begun! Anyone who is in Christ is a new kind of creature — you have not been improved or modified but wholly remade. We have been told we are works in progress as if there was some middle ground between saint and sinner. You were cleansed from sin, re-gened, and joined in vital union with the Lord. You are no longer part of Adam’s race. You are a son or daughter of the Everlasting Father. Christ is your life. He sees the real you, and from His timeless perspective you are faultless, blameless, and radiant with glory. Kings are confident and that confidence comes from knowing you are righteous. The gospel declares that in Him you are righteous. As you walk in this revelation, your confidence will grow and you will start to exercise your kingly influence. Luke 2:10 — angels proclaimed the good news… the Gospel! The Weymouth translation: But the angel said to them, “Put away all fear; for I am bringing you good news of great joy–joy for all the People. It was good news of great joy!!! Great joy to ALL people! This good news should produce joy in ALL people! Matthew 9:37 says the harvest is plentiful! Romans 2:4 — it’s God’s goodness that causes men to repent. I like the Mirror version of verse 17…. Herein lies the secret of the power of the Gospel; there is no good news in it until the righteousness of God is revealed! The Gospel of Christ reveals our right standing with God! This is the good news the world needs to hear. we don’t share the Gospel to keep people from going to hell or to get them in to church!